GARY BRENNAN WANTS to “keep a hand in both camps” as Clare’s senior football All-Star nominee looks forward to an All-Ireland senior club hurling semi-final appearance with Ballyea in February. Ballyea’s march to Munster glory has extended the club’s interest into the New Year and while Ballyea might like Brennan to concentrate on hurling only, the talented dual player is looking forward to a “very important National League” campaign with the Clare footballers. The Banner men gained promotion and then beat Kildare at Croke Park to win the Division 3 title outright earlier this year. And with manager Colm Collins anxious to at least consolidate Clare’s position in the second tier next season, towering midfielder Brennan will prove crucial to those chances. And Brennan has indicated that he wants to juggle inter-county football and club hurling until Ballyea’s campaign comes to an end, which could be at Croke Park in March. To be honest, I haven’t even thought about the dates. I was just focused on the game (Munster final). I’ll have to sit down and have a chat with the lads but obviously I’d be hoping to try and keep a hand in both camps. It’s a very, very important National League for us, going up to Division 2 next year, and I’d be hoping to be involved. “I’ll have to talk to the lads involved in Ballyea here first but I’ve always said that football is my number one game. Brennan’s late goal took an epic Munster semi-final against Thurles Sarsfields to extra-time – and Ballyea kicked on from there to claim provincial glory with victory over Glen Rovers last Sunday. There has been a noticeable improvement in Brennan’s hurling throughout the club voyage – and his form has even prompted suggestions of a role with the Clare senior hurlers next year. Brennan recently shot down that idea but he admitted: “The more time you spend with the ball and spend practicing, the better you’re going to get. Genuinely, it’s a great feeling, a little bit surreal if I’m honest. A few weeks ago, a lot of people wouldn’t have thought we’d be county champions, never mind Munster champions. It’s just hard to put it into words, I’ve never experienced anything like it. And Brennan has urged Ballyea to now grasp the opportunity that presents itself in the All-Ireland series – and not just settle for county and Munster wins. We know we’re lucky to be in the situation we’re in, it might never happen again. There are teams lucky to win several Clare championships and have never got to this stage so I suppose a little bit of a surprise. “People decide who’s underdogs and who’s favourites, it’s not something we can pay a whole pile of attention to. Email “Clare's Gary Brennan facing hectic New Year as Ballyea hurlers chase club dream”. 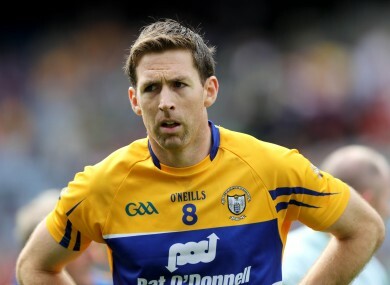 Feedback on “Clare's Gary Brennan facing hectic New Year as Ballyea hurlers chase club dream”.